25 km south-west of Mikkeli, Pyöriäinen pool 10 m (length 400 m, width 80 ), deep, soft mud bottom, own boat. 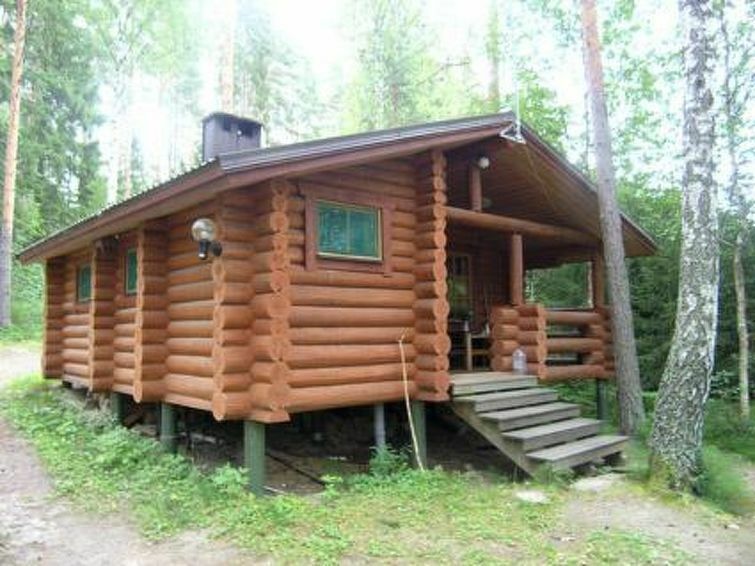 Log cottage 2004, cooking corner, living room double bed, dressing room, sauna, open porch. Access to sauna and dressing room through porch. In summer also in use a small outbuilding with 1 extra bed, outbuilding has no electricity. Small cottage for couple, can also be used in winter. During winter it might be necessary to leave the car about 200 m from the cottage, because cottage road is located on a slope.Tornimäki downhill ski centre 25 km, City of Mikkeli services 25 km, Hirvensalmi 15 km. Check in/ out Friday. Wir hatten wirklich eine super schöne Woche dort. Die Ausstattung ist nicht luxuriös aber man hat alles was man braucht, für eine erholsame Zeit. Durch die Wegbeschreibung war alles leicht zu finden und auch wenn der Besitzer nur finnisch spricht war auch die Übergabe kein Thema.